But how many PR professionals would echo this sentiment? The same question must be asked of potential new clients—how do they define PR? Intuition and experience tell me that they wouldn’t come up with something so accurate either. This, finally, brings me to my point. Public Relations service—one I consider to fall within and be a function of overarching Marketing and Communications practices—misses the boat when it comes to aligning a client’s goals and its own PR strategy. Instead, we’re left with many PR professionals (misguided by leadership) that are looking to force client inclusion in stories that don’t benefit (a key buzzword from the PRSA definition) the company they are paid to effectively represent. Most call this fitting a square peg into a round hole—many PR pros just call it a Thursday. This is why we see articles from reporters up in arms over misguided and mass-blasted media outreach, as noted . These are all possible! If a Company hires a firm who immediately generates media results in some of the right publications, how can you fault the relationship? Easy—the job isn’t done. Re-read the definition once more, and if you have time—read the entire short page of content. The word “media” doesn’t appear once. That’s because media outreach is in fact only a component of an effective public relations campaign. It is time for PR firms to embrace digital marketing efforts. No, I’m not just talking about social. Email campaigns customized to each client’s needs are paramount. While most of a client’s audience will actually miss that awesome WSJ mention, anywhere from 20%-40% will catch it if you take the time to cultivate e-mail lists and send a timely, professional e-mail following the media relations coup. There are many more, but remember—they are resources and options, not requirements, for every campaign. The takeaway here is short and simple. 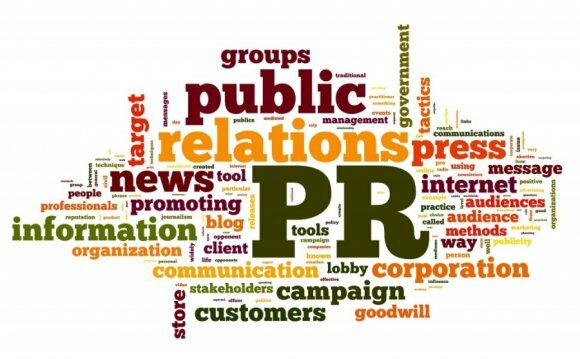 To strengthen “relationships between organizations and their publics”—both the PR industry and their clients need to stop believing media relations and public relations are one in the same, and start building a more encompassing marketing and communications strategy.